When you open up a website, you see that there are two kinds of pages: main pages and the pages that are deep inside the site structure. Often the latter are better indexed and ranked, and this is because of an internal linking strategy. An internal linking strategy is basically the way you hyperlink pages together in your website. There are a couple different elements that go into it, such as navigation bar or header, the body of the page and footer. You have to be very deliberate about the internal links in your header, content of the page and the footer. Header: Your navigation creates a lot of internal links. So whatever HTML links are inside the header of your website are very important. Footer: Another element that has hyperlinks and can be incredibly important for internal linking and can help crawlers like Google and other search engines to get further into your website. They are on every single page of your website. So, that is a clear indicator to search engines that if there Is a link inside the header or the footer then they really need to check out this page and they really need to index it. It also has internal links. But there are different templates for different pages, such as the homepage, category page, and even landing pages. Each of those templates has HTML content and they’ll probably have some hyperlinks. And you really need to look into how these hyperlinks exist on the website and how they relate to other pages because it matters a lot to crawlers. Generally, these links are some of the most important on certain levels. If there is an internal link in a content on a high authority page then that page passes along the weight of authority to the page that is linked to it with exact anchor text. Anchor text is a portion of text that carries hyperlink. Basically, these texts are clickable. The reason you need to use appropriate anchor texts is that these describe the page linked to them in the least words possible. For example, if you have a digital marketing company then you’ll use the anchor text “Digital marketing” or “Digital marketing company” that will take users/readers to the homepage of your company’s website. You don’t want to clutter a page with links because then it diminishes the quality of your links. It can, kind of, confuse the crawlers. That is why never bloat your header and footer with too many links. This same concept applies to the content. Never put too many links in the content. 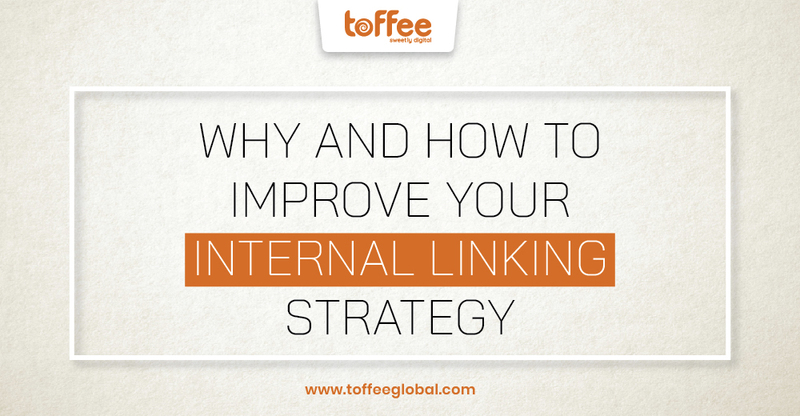 Always have 3 to 5 internal links depending on the size of your content.